In a new op-ed for the Daily Caller, Dr. Joseph Perrone discusses how celebrities like Jessica Alba and Gwyneth Paltrow and activist groups like the Environmental Working Group have financial incentives to promote “nontoxic” products. 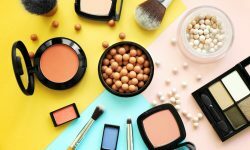 Dr. Perrone debunks some of their health claims and explains that there’s no reason to fear the cosmetics and sunscreens you use on a daily basis. What do Jessica Alba, Gwyneth Paltrow, and the Environmental Working Group have in common? 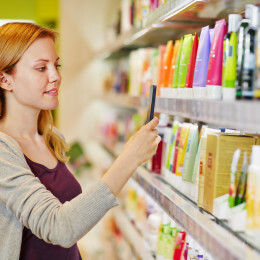 They all make money by convincing consumers that every day cosmetics and other personal care products aren’t safe. And these marketing ploys to promote their expensive product endorsements are hurting more than just customers’ wallets — these unscientific claims have serious public health consequences. Jessica Alba started her “Honest Company” to provide parents “nontoxic” alternatives to baby products. Now, her billion dollar company has expanded beyond diapers to sunscreens and other products. Unfortunately, her customers are learning the hard way that “chemical free” products don’t necessarily work as intended. Read the rest of Dr. Perrone’s piece on the Daily Caller here. 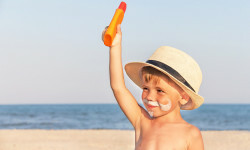 Are there ‘Worrisome’ Ingredients in Sunscreens?